Up to and during the Iraq invasion, there was a substantive grass-roots effort to oppose additional military action, and once it got underway, the meme, "Support Our Troops" was shouted from the top of every media news report to the bottom of every vehicle bumper. Slapping those goofy yellow ribbons made everyone recognize the nobility of your priorities, right? But how ultimately useful was the phrase, "Support Our Troops?" Were there Americans going around wanting to undermine them? 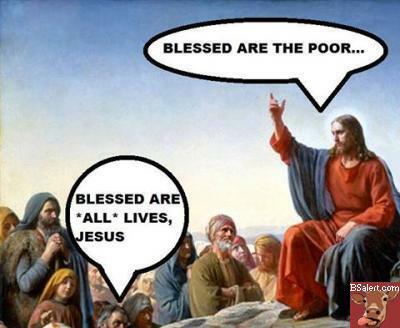 The same thing goes with "All Lives Matter!" Is there a need to fend off an uprising of people who are campaigning undermine the value of anybody else's life? What we have here is what's called a "Truism." A Truism is defined as, a statement that is obviously true and says nothing new or interesting. Like, "You get what you pay for." Ok, thank you for that Captain Obvious. Do these truisms reveal anything important? Why would anybody not want to support troops that are "fighting for our freedom?" Does that even need to be said? The same goes for "All Lives Matter?" That too would make a great slogan across a magnetic ribbon on your vehicle. Are the BLM protesters really telling everyone their lives are more important? No. Let's recognize both sayings are promoted for the same purpose: To stop discussion and dialogue. To shut down any deeper examination of whether what's going on is fair or legitimate. It was done during the Iraq war, with people suggesting if you criticized the war, you wanted troops hurt, not unlike how they're suggesting now that "Black Lives Matter" advocates the hurting of cops. It does not. The Iraq invasion would likely have been a different story if more discussion and debate had not been stifled by the false dichotomy of these underhanded talking points. 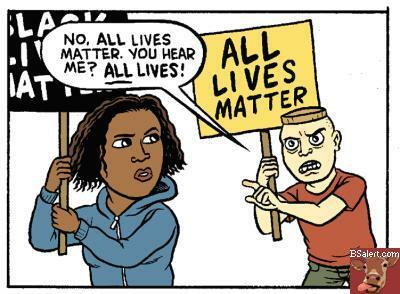 Likewise, the "All Lives Matter" meme has as its objective, the purpose of shutting down the discussion being raised. We as a people, should not allow third parties to marginalize and dismiss issues we hold as important by clouding the issue with unrelated arguments. It's time we recognize these Truisms as a destructive force, not designed to prove a counter-point as much as they are deployed as a distraction to change the subject away from an uncomfortable reality some would prefer to not acknowlege.